Here at Water Roots Day Spa we care about our body products, all our Apothecary Skin Care is handcrafted and made in spa. Our handcrafted Soaps, Bath Bombs, Body Creams, Deodorants, Body Scrubs and more are all handcrafted with the finest quality ingredients, creating a blend of herbs and flowers to give you a truly natural and customized skincare product. You won’t find any synthetic fragrance, artificial colour, phthalates, synthetic parabens, sodium laurel sulphate, or petrochemicals in any of our soaps or body care products. In 1958, Pierre Darphin, a refined kinesitherapist with a deep understanding of the science of skincare and beauty rituals, created the Darphin Institute. He developed highly sensory, uniquely effective skincare treatments using exclusive sculpting and application methods. Darphin believed that beauty and well-being were inextricably linked, and in order to design the most effective and personalized treatment, beyond the external appearance of her skin, he analyzed a woman’s lifestyle and habits. Let our expert beauty therapists identify your skin’s needs following a personalized consultation. Enjoy a range of treatments featuring our exceptional cosmetics applied through exclusive sculpting techniques, fusing the pleasure of clearly visible results and unique well-being. Jane Iredale is the president and founder of Iredale Mineral Cosmetics, a company she founded in 1994 which brought the mineral makeup line jane iredale to the aesthetic industry. She was the first to supply this industry with a line of makeup that had skincare benefits. We have a number of ingredients in our formulas that actively calm the skin. Two in particular are titanium dioxide and zinc oxide, both have anti-inflammatory properties. They not only effectively cover redness but also help to soothe it. In many of our formulas, the minerals are joined by botanicals and algae extracts that have the same effect. Methods of eyelash extensions are numerous and often disappointing. With our laboratory, after several years of research, Misencil brings you the quality and safety you will not find elsewhere. Misencil is indeed the leading brand in the world to use the know-how and quality standards of the French cosmetics to get this glamorous look that will change your life! Essie, the ultimate colour authority, offers a line of superior nail care products with an exclusive award winning formula. Essie’s fashion-forward colours are always chic and elegant and can be worn ‘from the bedroom, to the boardroom, to the ballroom.’ Always inspired by the runways of Paris, Milan, London and New York, Essie colours are recognized worldwide because they are chip resistant, long lasting, and provide flawless coverage. The Sloane story is about beauty. Beauty as told through the senses of taste, smell and sight. Beauty as experienced through the remarkable taste of our teas, as well as the beauty of the colour in your cup and the enticing fragrance of our perfumed teas. Our teas are definitely not the common general brands that, unfortunately, form the majority of on-line tea purchasing. 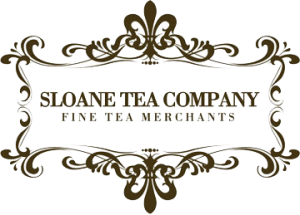 Sloane’s signature line of teas and tisanes (herbal teas) combine the finest loose leaf teas, exotic ingredients and artisanal techniques.